Get Wilco essential facts below. View Videos or join the Wilco discussion. 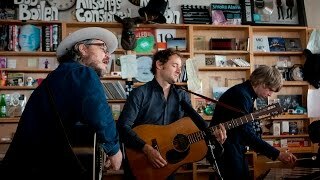 Add Wilco to your PopFlock.com topic list for future reference or share this resource on social media. Wilco's music has been inspired by a wide variety of artists and styles, including Bill Fay, The Beatles and Television, and has in turn influenced music by a number of modern alternative rock acts. The band continued in the alternative country style of Uncle Tupelo on its debut album A.M. (1995), but has since introduced more experimental aspects to their music, including elements of alternative rock and classic pop. Wilco's musical style has evolved from a 1990s country rock sound to a current "eclectic indie rock collective that touches on many eras and genres." Wilco garnered media attention for their fourth album, Yankee Hotel Foxtrot (2001), and the controversy surrounding it. After the recording sessions were complete, Reprise Records rejected the album and dismissed Wilco from the label. As part of a buy-out deal, Reprise gave Wilco the rights to the album for free. After streaming Foxtrot on its website, Wilco sold the album to Nonesuch Records in 2002. Both record labels are subsidiaries of Warner Music Group, leading one critic to say the album showed "how screwed up the music business is in the early twenty-first century. 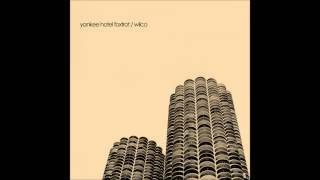 "Yankee Hotel Foxtrot is Wilco's most successful release to date, selling over 670,000 copies. 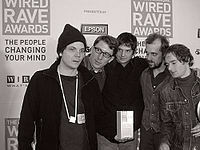 Wilco won two Grammy Awards for their fifth studio album, 2004's A Ghost Is Born, including Best Alternative Music Album. 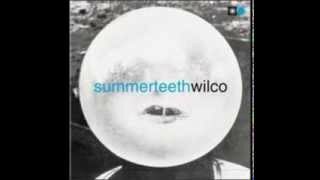 Wilco released their ninth studio album, Star Wars, in July 2015, and in September 2016 released their tenth studio album, Schmilco. Wilco was formed following the breakup of the influential alternative country music group Uncle Tupelo. Singer Jay Farrar quit the band in 1994 because of a soured relationship with co-singer Jeff Tweedy. Both Tweedy and Farrar sought to form bands immediately after the breakup. Tweedy was able to keep the entire Uncle Tupelo lineup sans Farrar, including bassist John Stirratt, drummer Ken Coomer, and multi-instrumentalist Max Johnston. 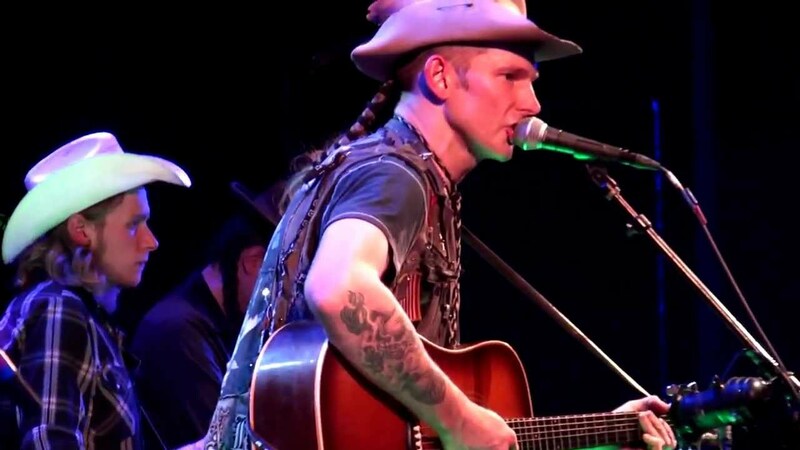 He even enlisted Uncle Tupelo guest guitarist Brian Henneman of the Bottle Rockets, who performed on many of the tracks for Wilco's debut album, A.M.. The band was tempted to keep the Uncle Tupelo name, but ultimately decided to rename the band. The group named itself "Wilco" after the military and commercial aviation radio voice abbreviation for "will comply", a choice which Tweedy has called "fairly ironic for a rock band to name themselves." After collaborating with Syd Straw on a cover version of the Ernest Tubb song "The T.B. is Whipping Me" (released in September 1994 on the Red Hot Country compilation produced by the Red Hot Organization), Wilco began recording tracks for A.M., their first studio album, at Easley studio in June 1994. A demo tape from these recordings was sent to executives at Reprise Records, a subsidiary of Warner Brothers, and the label signed Tweedy to a contract. Although Tweedy stated that he wanted a more collaborative project than Uncle Tupelo, only his name appeared on the Reprise contract. Tweedy requested songwriting submissions from other members, but only one submission--John Stirratt's "It's Just That Simple"--appeared on A.M.. It was the last song Wilco ever released that was lyrically solely written by a member besides Tweedy. 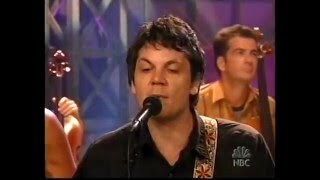 Stylistically similar to Uncle Tupelo, the music on A.M. was considered to be straightforward alternative country rock in what Tweedy later described as "trying to tread some water with a perceived audience."A.M. 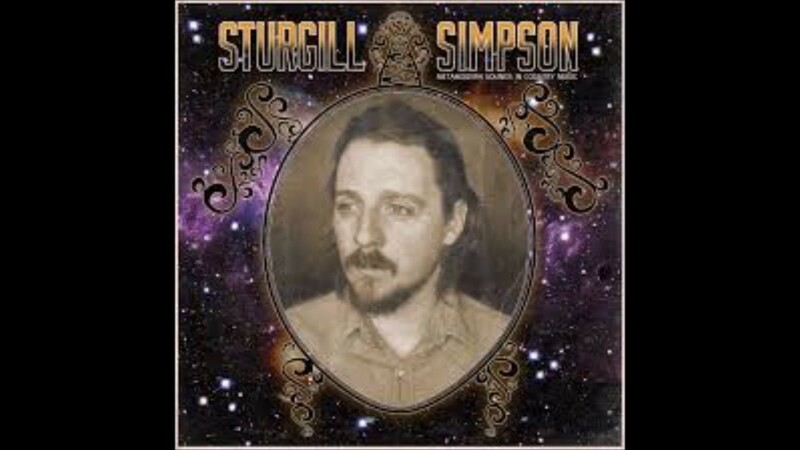 peaked at number twenty-seven on the Billboard Heatseekers chart, considerably lower than the debut album of Jay Farrar's new band, Son Volt. The album was met with modest reviews though it would rank thirty-fourth in the Village Voice's 1995 Pazz & Jop critics poll. Critically and commercially paling in comparison to the reception of Son Volt's album, the Wilco members perceived A.M. to be a failure. Shortly after the release of the album, multi-instrumentalist Jay Bennett joined the band, providing the band with a keyboardist and another guitarist. 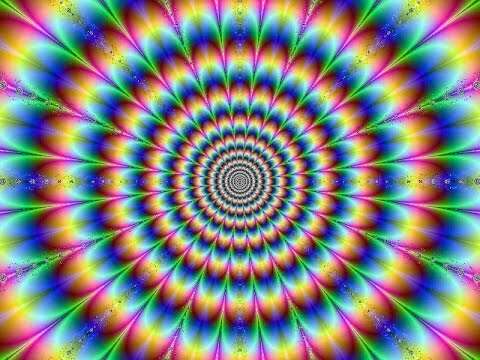 Sample from "I Must Be High", the first track from A.M.. 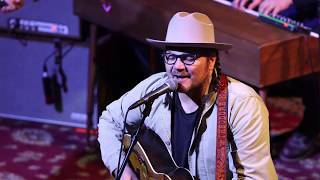 The song is an example of the straightforward alternative country music described by Tweedy as "trying to tread some water with a perceived audience." The whole No Depression thing was funny to us because people seemed to forget that Jeff was a bigger punk-rock fan than a country fan. It led to things like us all switching instruments on "Misunderstood," where I'm playing guitar. Unlike the A.M. recording sessions, the band had no vocation for producing a hit song from their second effort. 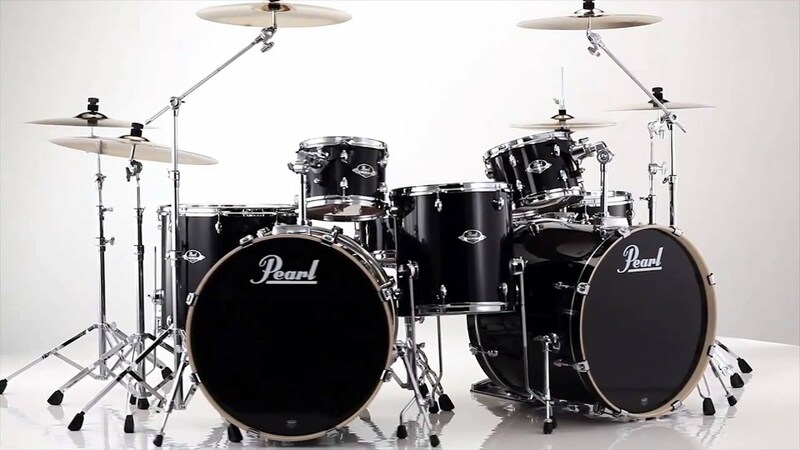 The recording sessions produced nineteen songs, too many for a single album release. Tweedy was concerned about the high retail price that a double album would be sold for (at least $30), so he asked Reprise Records to release it as a double album at a single album price ($17.98 or less). Reprise agreed to this on the terms that they received Wilco's share of the album royalties. It was estimated in 2003 that the band lost almost $600,000 on the deal, but Tweedy was satisfied.Being There was well received by critics from several major media outlets, including Rolling Stone. The album reached No. 73 on the Billboard album charts, a significant improvement from A.M., and placed fourteenth on the Pazz & Jop Critics Poll for 1996. The album's single "Outtasite (Outta Mind)" became the group's first song to enter the Billboard charts, reaching No. 39 on the Modern Rock Tracks chart and No. 22 on the Mainstream Rock Tracks chart. In November 1997, Wilco entered Willie Nelson's recording studio in Spicewood, Texas to record a third studio album. The album was lyrically inspired by the marital problems of Tweedy and his wife, as well as by twentieth-century literature. Tweedy relied heavily on Bennett to provide music for the singer's "bold, but depressing" lyrics. Wilco recorded several songs, including "Via Chicago" and "She's a Jar", but began working on another project before assembling the tracks into an album. 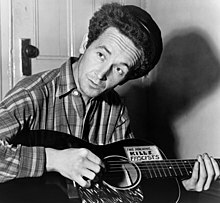 The two Mermaid Avenue albums consisted of recordings of unreleased Woody Guthrie (pictured) songs. Bragg contacted Tweedy and Bennett about co-recording the album while Wilco was on the European segment of their Being There tour. Bragg was particularly fond of Being There because their influences extended farther back than the 1950s. Although Tweedy was indifferent to the offer, Bennett was enthused about recording songs of one of his idols--Bennett's previous band Titanic Love Affair was named after a Billy Bragg lyric. A recording contract between Bragg and Wilco was signed after a show at Shepherd's Bush Empire. Bragg mostly recorded the politically charged lyrics, while Tweedy preferred to record lyrics that showcased Guthrie as a "freak weirdo". The recording of Mermaid Avenue began on December 12, 1997, and was the topic of BBC's Man in the Sand documentary film. Tempers flared between Bragg and Wilco after the album was completed. Bennett believed that Bragg was overproducing his songs, a sharp contrast to Wilco's sparser contributions. Bennett called Bragg about the possibility of remixing Bragg's songs, to which Bragg responded "you make your record, and I'll make mine, fucker." Eventually Bragg sent copies of his recordings to Chicago for Bennett to remix, but Bragg refused to use the new mixes on the album. The two parties were unable to establish a promotional tour and quarreled over royalties and guest musician fees. The story of Summerteeth is Jay bought a Mellotron and he was going to use it, no matter what. It was lovely, but it was overdone. Once they got going on the overdubs, they didn't stop. And nobody in the band stepped up to stop the madness ... It reminds me of Heart of Darkness, where you knowingly extend the creative process for the purpose of exploration or redemption, or whatever it is you're looking for. After the release of Summerteeth, the band resumed the Mermaid Avenue sessions. Although they had recorded enough material for a second release in 1998, Wilco recorded a few new songs for Mermaid Avenue Vol. II. "Someday Some Morning Sometime," featuring a vibraphone filtered through a space echo, was identified by Tweedy as being the "piece to the puzzle" towards the creation of their fourth studio album. The album was released on May 30, 2000, and was the last release from the sessions. The remainder of the sessions were released in 2012 as Mermaid Avenue Vol. III, also part of Mermaid Avenue: The Complete Sessions. 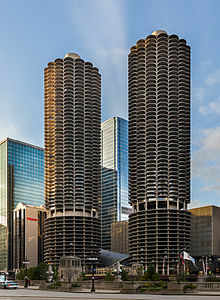 The Marina Towers in Chicago, IL are depicted on the cover of Yankee Hotel Foxtrot. 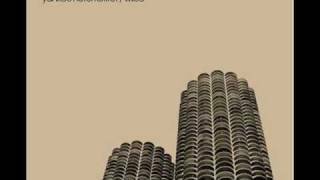 "I Am Trying to Break Your Heart"
The first track from Yankee Hotel Foxtrot, this song featured an intro on bells composed by Glenn Kotche. Shortly after the recording sessions for Mermaid Avenue Vol. II, Wilco purchased a studio on Irving Park Road in Chicago, which they named the Wilco Loft. The band recorded some tracks in the studio in early 2000 for a fourth studio album. In May 2000, Jeff Tweedy requested to perform with Jim O'Rourke at a festival in Chicago; Tweedy was a fan of O'Rourke's Bad Timing. O'Rourke introduced Tweedy to drummer Glenn Kotche, and the trio enjoyed working together so much that they decided to record an album as a side project named Loose Fur. Wilco had recorded an entire album of music at this point, but Tweedy was unhappy with the drum parts. He enjoyed Kotche's contributions to Loose Fur so much that Tweedy brought him into the studio to re-record some demos. Some believe that Tweedy sought to make Wilco sound like Loose Fur after officially replacing Ken Coomer with Kotche in January 2001. Although Bennett sought to act as both mixer and engineer for Yankee Hotel Foxtrot, Tweedy was unsure of Bennett's abilities against those of O'Rourke. 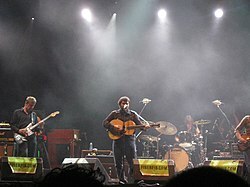 Tweedy and Bennett frequently argued over whether the album should be accessible to a general listener, or attempt to cover new musical ground. Unbeknownst to Bennett, Tweedy invited O'Rourke to remix "I Am Trying to Break Your Heart", and the results impressed the other band members--even Bennett. Tensions grew between Bennett and O'Rourke because Bennett wanted to mix every song on the album. O'Rourke cut the contributions of other members on several of the songs; some songs, such as "Poor Places", only featured the Loose Fur trio. The album was completed in 2001, and Bennett was dismissed from the band immediately afterwards. The recording of the album was documented by Sam Jones and released in 2002 as the film I Am Trying to Break Your Heart: A Film About Wilco. Time Warner, which owned Warner Bros. Records, merged with America Online in 2001, leading to more pressure on Warner's record labels to cut costs. Over 600 employees of Warner Music Group were fired, including Howie Klein, the president of Reprise Records. In absence of Klein, David Kahne became the interim head of Reprise. Kahne assigned Mio Vukovic to monitor the progress of Yankee Hotel Foxtrot and to offer suggestions. Music journalist Greg Kot claims that Vukovic disdained the album and was unhappy that Wilco ignored his suggestions. He brought the album to Kahne, who felt that there was no single on the album. In June 2001, the album was rejected by Reprise and Wilco was asked to leave the label. We are benefiting from the label's regret over Wilco. We are living in the golden age of that being such a public mistake. The people on Warners said, "we'll never have a band like Wilco feel we don't believe in them again." They'd tell me that it would never happen to us. And what a great day for me! As the band searched for a new label to release the album, they decided to stream it at their official website to discourage illegal trading of low-quality MP3s. The band signed with Nonesuch Records, another Time Warner subsidiary, and the album was released in the spring of 2002. When it was released, Yankee Hotel Foxtrot reached number thirteen on the Billboard 200, Wilco's highest chart position to that date.Yankee Hotel Foxtrot sold over 590,000 copies, and to date remains Wilco's best selling album.Yankee Hotel Foxtrot was met with wide critical acclaim: it topped 2002's Pazz & Jop critics' poll, was named one of the 100 greatest albums of all time by Q Magazine. 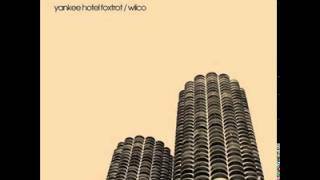 While waiting for the commercial release of Yankee Hotel Foxtrot, Wilco agreed to support R.E.M. collaborator Scott McCaughey for an album release by The Minus 5. They scheduled a recording session for September 11, 2001, but were distraught about the 9/11 terrorist attacks that day. Later that day, Wilco and McCaughey agreed to "create something good in the world right now" and record some material. Influenced by Bill Fay's Time of the Last Persecution, The Minus 5's Down with Wilco was released in 2003. Keyboardist Mikael Jorgensen, who had engineered Down with Wilco, joined Wilco in 2002 as they toured in support of Yankee Hotel Foxtrot. I know ninety-nine percent of our fans won't like that song, they'll say it's a ridiculous indulgence. Even I don't want to listen to it every time I play through the album. But the times I do calm myself down and pay attention to it, I think it's valuable and moving and cathartic. I wouldn't have put it on the record if I didn't think it was great ... I wanted to make an album about identity, and within that is the idea of a higher power, the idea of randomness, and that anything can happen, and that we can't control it. Leroy Bach left the band immediately after the album's completion to join a music theatre operation in Chicago. 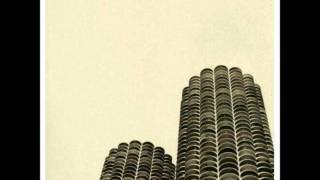 Like Yankee Hotel Foxtrot, Wilco streamed the album online before its commercial release. Instead of using their own web page, the band streamed it in MPEG-4 form on Apple's website. Wilco sought to substantially change their lineup after Bach's departure, and added Pat Sansone of The Autumn Defense, and avant-garde guitarist Nels Cline to the lineup. Just as the band was about to tour to promote the album, Tweedy checked himself into a rehabilitation clinic in Chicago for an addiction to opioids. As a result, tour plans for Europe were canceled, and the release date for the album was set back several weeks.A Ghost Is Born was released on June 22, 2004, and became Wilco's first top ten album in the U.S. The album earned Wilco Grammy Awards for Best Alternative Music Album and Best Recording Package in 2005. It also placed thirteenth on 2004's Pazz & Jop Critics Poll. Wilco streamed the album online on March 3, 2007, and offered the song "What Light" as a free MP3 download. To further publicize the album, Wilco licensed several songs from the Sky Blue Sky recording sessions for use in a Volkswagen advertising campaign. The move was criticized by both critics and fans; Wilco responded by noting that they had previously done advertising campaigns with Apple Inc. and Telefnica Mviles (Movistar). The album was released on May 15, 2007, and was a commercial success: it sold over 87,000 copies in its first week and peaked in the top five in the U.S. album charts. It also was a top forty hit in seven other countries. Reviewer James Brubaker states that Wilco "shine[s] on a handful of the songs" on Sky Blue Sky, such as the "light, and straightforward" songs. While he calls the album "great traditional rock and folk album at times", he states that "once you get past the handful of masterful and lovely performances ... the rest of the record comes off at times as dull, and forced." The allaboutjazz review also had mixed comments. While praising the album as "deceptively insinuating, almost intoxicating to listen to" and noting its "impeccable sound quality," the reviewer claimed that "Sky Blue Sky becomes the first Wilco album that sounds too careful for its own good." Pabs Hernandez, a reviewer for Lost at Sea praised the album's "breezy atmosphere and pacing," and noted that it is not "easily judged upon first listen." Overall, Hernandez stated that it "may be no masterpiece, but at worst it's a more than worthy entry into Wilco's laudable catalogue." Reviewer Greg Locke praised the record as "one of the best albums of the year," calling it a "timeless record, full of sweet, hopeful sophistication and class" and "a lean, mean, soulful album." Like Hernandez, Locke acknowledged that the album could not be properly judged just on the first listening. The NPR review also had a positive take on the record. While the NPR reviewer stated that the recording "isn't groundbreaking," they praised its "coherent musical expression" and emphasis on "solid songcraft without pretense" which created a "satisfying and melodically sound album." In anticipation of the 2008 US presidential election, Wilco released a downloadable version of Bob Dylan's "I Shall Be Released" that they performed with Fleet Foxes. The MP3 was available as a free download from the band's website in exchange for a promise to vote in the election. The band also made an appearance on The Colbert Report to support presidential candidate Barack Obama. Wilco released a live performance DVD, Ashes of American Flags, on April 18, 2009, to celebrate Record Store Day. 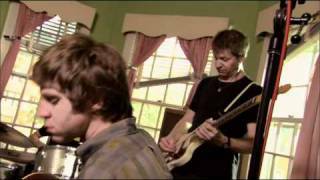 In December 2008, Jeff Tweedy, Pat Sansone, Glenn Kotche and John Stirratt traveled to Auckland, New Zealand to participate in Neil Finn's 7 Worlds Collide sequel project, The Sun Came Out, joined by Ed O'Brien, Phil Selway, Johnny Marr, KT Tunstall, Liam Finn, and Lisa Germano. They wrote and recorded several new tracks for the Oxfam-benefiting album including "You Never Know", "What Could Have Been", "Over and Done" and "Don't Forget Me". 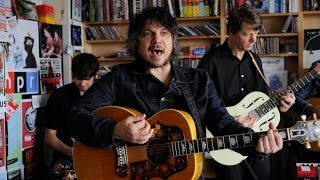 Jeff Tweedy co-wrote "Too Blue" with Johnny Marr, and Glenn, John and Pat play on most tracks on the album. Having enjoyed their time in New Zealand and the vibe of Finn's own Roundhead Studios, the four members stayed in Auckland through January to record the foundation tracks for their next album. Jim Scott, who acted as engineer and mixer for the Neil Finn project, stayed on in the same capacity for the Wilco sessions. Nels Cline and Mikael Jorgensen would later add overdubs to these tracks at the band's Chicago Loft. Wilco released their seventh album, Wilco (The Album), on June 30, 2009. In March 2009, it was announced that singer-songwriter Feist would make a guest appearance on the new album, on the track "You and I". Like their previous three albums, Wilco streamed the entirety of the album on its website prior to release. The album hit the charts at a career-high No. 4 with sales of 99,000 on the Billboard Top 200 Album chart as well as the No. 2 spot on Billboard's Top Rock Albums chart. It marked Wilco's third top 10 album on the U.S. pop chart. The album's first single "You Never Know" reached the No. 1 spot on the AAA Chart, their first No. 1 in twelve years. Beginning in April 2009, the band freely distributed a cover of Woody Guthrie's "The Jolly Banker", downloadable from their website. It was recorded at the Wilco loft in February of that year, at the suggestion of Guthrie's daughter, Nora. Downloaders were encouraged to donate to the Woody Guthrie Foundation. Feist returned to accompany on the track, playing the Garden Weasel. The track eventually became unavailable for download. In October 2011, the website began streaming the track via a plugin. On May 25, 2009, former band member Jay Bennett died in his home in Urbana, Illinois. In a prepared statement, Jeff Tweedy remarked that he was "deeply saddened" by Bennett's death. Feist and Wilco performed "You and I" on Late Show with David Letterman on July 14, 2009. In June during their West Coast tour, Wilco joined Beck, Feist, Jamie Lidell and James Gadson in the studio to take part in Beck's Record Club project, covering Skip Spence's Oar album. The first song "Little Hands" was posted on Beck's website on November 12, 2009. On April 6, 2010, Wilco announced during their Boston performance that they would be headlining and curating a festival in North Adams, Massachusetts, dubbed Solid Sound Festival. The event ran at the Massachusetts Museum of Contemporary Art from August 13-15, and featured various Wilco side projects, including The Autumn Defense, Pronto, The Nels Cline Singers, and Jeff Tweedy solo. Other bands who appeared included Mavis Staples, Avi Buffalo, Outrageous Cherry, Richard Bishop, The Books, and Vetiver. It also featured non-musical media, such as the Bread and Puppet Theater and comedians Todd Barry, Kristen Schaal, John Mulaney, and Hannibal Buress as well as interactive musical installations by Cline and Kotche. In November 2016, the band also curates their own program during the tenth Anniversary Edition of Le Guess Who? Festival in Utrecht, The Netherlands. This curated program includes performances by amongst others Tortoise, Bassekou Kouyate;, Lee Ranaldo, Fennesz, Steve Gunn, William Tyler and The Cairo Gang. Wilco's contract with Nonesuch ended in 2010 and they formed their own label. Wilco announced via their web site and Twitter page on January 27, 2011 that the new label will be called dBpm Records (Decibels per Minute) and will be run out of the offices of their manager, Tony Margherita, in Easthampton, Massachusetts. Wilco's eighth studio album, The Whole Love, was released on September 27, 2011. The first single of the album is titled "Art of Almost". The B-Side to "I Might" is a cover of Nick Lowe's 1977 song "I Love My Label". The single was shown at the Wilco's 2011 Solid Sound Festival at MassMoca and was met by positive reviews. The entire album was streamed live on Wilco's official website for 24 hours between September 3 and 4, 2011. Star Wars, Schmilco and All Lives, You Say? Wilco's ninth studio album, Star Wars, was released on July 16, 2015, as a surprise free download. In October 2015, Wilco announced that they would embark on a US tour beginning in early 2016 in support of the album. In December 2015, Star Wars was nominated for the Grammy Award for Best Alternative Music Album. On July 14, 2016, the band released a new single, titled "Locator", as a free download. Four days later, the band released another new single, titled "If I Ever Was a Child", and announced that their tenth album, Schmilco, would be released on September 9.Schmilco earned generally favourable reviews, earning a positive score of 79 on Metacritic, while reviewer Josh Modell called the album "Wilco's most musically simple and emotionally resonant record in a decade." On Monday, August 14, 2017, Wilco released a single, "All Lives You Say" on their Bandcamp page to benefit the SPLC in memory of Jeff's father Robert L. Tweedy who passed away on August 4. Upon sharing this news, Tweedy stated, "My dad was named after a Civil War general, and he voted for Barack Obama twice. He used to say 'If you know better, you can do better.' America - we know better, we can do better." Wilco's music is typically categorized as alternative rock and alternative country. Despite their career-long association with a major record label, they are generally associated with indie rock. Wilco draws influence from bands from a variety of musical genres, but primarily from music created between 1966 and 1974.John Cale's Paris 1919 was credited by the band as providing a musical parallel. According to Tweedy, "It was eye-opening that I wasn't the only person that felt like these worlds had a lot more in common than they'd been given credit for--that experimentation and avant-garde theory was not directly opposed to beauty, y'know?" Other recording artists from that timespan appreciated by the band include John Lennon, Neil Young, and Brian Wilson. For his thirty-fourth birthday, Tweedy received a private guitar lesson from Richard Lloyd of Television; Tweedy was a fan of the group and was particularly fond of the guitar work, which he wanted to incorporate into his music. Uncle Tupelo was inspired by bands such as Jason & the Scorchers and the Minutemen, influencing the recording of Wilco's A.M.. Tweedy and O'Rourke enjoyed free jazz artists such as Ornette Coleman, Albert Ayler, and Derek Bailey; they also listen to mainstream jazz by artists such as Miles Davis and John Coltrane. The lyrical structure of Wilco's songs was dictated by classic literature and cadavre exquis--an exercise where band members take turns writing lines on a typewriter, but are only allowed to see the previously written line. Among the books that the band has cited as being stylistically influential include William H. Gass's In the Heart of the Heart of the Country, Henry Miller's Tropic of Cancer, and Harold Bloom's The Anxiety of Influence: A Theory of Poetry. Some critics have dubbed Wilco the "American Radiohead", due to their stylistically diverse catalog. A critic from the New York Times argues that Wilco has a "roots-rock ... [sound which] reached back to proven materials: the twang of country, the steady chug of 1960s rock, the undulating sheen of the Beach Boys, the honky-tonk hymns of the Band and the melodic symmetries of pop." Rolling Stone described Wilco as "one of America's most consistently interesting bands" and "America's foremost rock impressionists." Bands that have been influenced by Wilco include Derek Webb (of Caedmon's Call),The National, and Grace Potter and the Nocturnals. 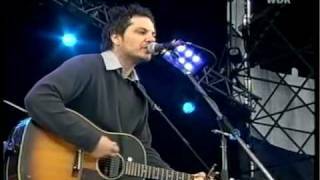 English indie rock band Cherry Ghost took its name from a lyric from the Wilco song "Theologians" (from A Ghost Is Born)--lead singer Simon Aldred is a self-proclaimed "massive Wilco fan". Other notable artists who have covered Wilco live include Norah Jones performing "Jesus, Etc." which took place at the 2008 Bridge School Benefit where they both performed, a version of which was released as a bonus track on her 2009 release The Fall, Widespread Panic, and Counting Crows and the Wallflowers performing "California Stars." ^ "Wilco Biography - Starpulse". Starpulse. Archived from the original on September 24, 2015. Retrieved 2015. ^ "Grammy Award Winning Band, Wilco, Will Make the Pilgrimage to Franklin, TN". Pilgrimage Festival. Archived from the original on September 15, 2015. Retrieved 2015. ^ "Album review: Wilco, Star Wars". The New Zealand Herald. Retrieved 2015. ^ "Wilco Releases Surprise New Album Star Wars". The Huffington Post. Retrieved 2015. ^ "Wilco is Not A Country Band". Boise Weekly. Retrieved 2015. ^ Press Release (September 25, 2012). "Indie-Rockers Wilco Make First Appearance At The Cascade Theatre Sept 26". ^ Fricke, David (May 9, 2002). "Yankee Hotel Foxtrot (review)". Rolling Stone. Archived from the original on September 12, 2007. Last accessed July 18, 2007. ^ Blackstock, Peter (Fall 1995). 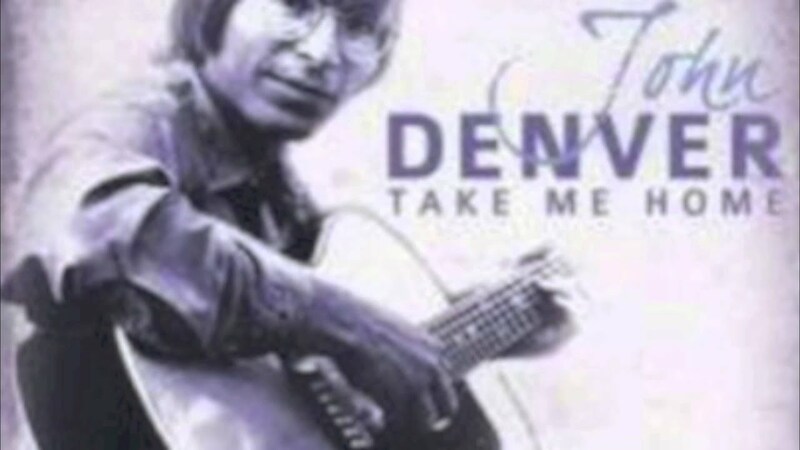 "Jay Farrar Traces a Path Away from Uncle Tupelo". No Depression. Archived from the original on September 28, 2007. Last accessed July 9, 2007. ^ a b Undertownmusic.com Archived December 20, 2008, at the Wayback Machine. ^ Sheridan, Phil (February 1995). "Roger, Wilco". Magnet. ^ Dawne, Vanessa (1995). "Wilco (interview)". Pop Culture Press. ^ Cameron, Keith (May 1997). "Last Twang in Town". Vox. ^ "Heatseekers". Billboard. April 15, 1995. ^ "The Billboard 200". Billboard. October 7, 1995. ^ George-Warren, Holly (February 2, 1998). "Wilco: A.M. (review)". Rolling Stone. Archived from the original on October 1, 2007. Last accessed July 9, 2007. ^ Erlewine, Stephen Tomas. "A.M. > Overview". AllMusic. Last accessed July 9, 2007. ^ "The 1995 Pazz & Jop Critics Poll". The Village Voice. Last accessed July 11, 2007. ^ Kuelker, Michael (November 19, 1994). "New Wilco Satisfies Tupelo Fans". St. Louis Dispatch. Last accessed September 2, 2007. ^ a b Blackstock, Peter (September 1996). "Being There, Doing That". No Depression. Archived from the original on May 7, 2007. Last accessed July 11, 2007. ^ Ankeny, Jason. "Being There > Overview". Allmusic. Last accessed July 11, 2007. ^ Kot, Greg (October 24, 1996). "Being There (review)". Rolling Stone. Archived from the original on June 19, 2007. Last accessed July 11, 2007. ^ "The Billboard 200". Billboard. November 16, 1996. ^ "The 1996 Pazz & Jop Critics Poll". The Village Voice. Last accessed July 11, 2007. ^ "Wilco - Awards: Billboard Singles". Allmusic. Rovi. Retrieved 2016. ^ Marcus, Greil (June 1, 1998). "Mermaid Avenue (review)". Rolling Stone. Archived from the original on October 2, 2007. Last accessed July 14, 2007. ^ Christgau, Robert. "CG: Billy Bragg & Wilco". robertchristgau.com. Last accessed July 14, 2007. ^ "The 1998 Pazz & Jop Critics Poll". The Village Voice. Last accessed July 14, 2007. ^ "The 1999 Pazz & Jop Critics Poll". The Village Voice. Last accessed July 15, 2007. ^ Fricke, David (May 2002). "In from the Cold". Mojo. ^ Kot, Greg (August 15, 2001). "Wilco's Shot in the Arm". Chicago Tribune. Archived from the original on August 26, 2001. Last accessed via the Wayback Machine on July 15, 2007. ^ "The Billboard 200". Billboard. May 11, 2002. ^ a b c Cohen, Jonathan (April 13, 2007). "Wilco: In the Comfort Zone". Billboard. Archived from the original on May 19, 2007. Last accessed July 15, 2007. ^ "Pazz & Jop 2002". The Village Voice. Archived from the original on February 20, 2003. Last accessed July 15, 2007. ^ "2006 Q Magazine Readers' 100 Greatest Albums Ever". Q. February 2006. ^ Pouncey, Edwin (August 2004). "Free the Spirit". The Wire. ^ Jardin, Xeni (November 15, 2004). "Music Is Not a Loaf of Bread". Wired. Last accessed July 23, 2007. ^ D'Angelo, Joe (July 7, 2004). "Lloyd Banks' Hunger Debuts at No. 1; Brandy Settles for No. 3". MTV News. Last accessed July 16, 2007. ^ "2005 Grammy Award Winners: Complete List of 47th Annual Grammy Awards Winners". CBS News. Associated Press. February 13, 2005. Last accessed July 16, 2007. ^ "The 2004 Pazz & Jop Critics Poll". The Village Voice. Archived from the original on February 10, 2005. Last accessed July 16, 2007. ^ Tangari, Joe (November 1, 2004). "The Wilco Book: Pitchfork Record Review". Pitchfork Media. Archived from the original on January 15, 2008. Last accessed July 16, 2007. 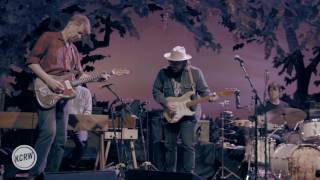 ^ "Wilco: Kicking Television: Live in Chicago (2005)". Metacritic. Last accessed July 16, 2007. ^ Crock, Jason (May 7, 2007). "Interview: Wilco". Pitchfork Media. Archived from the original on June 8, 2007. Last accessed July 16, 2007. ^ "Wilco-News". wilcoworld.net. Last accessed July 16, 2007. ^ Cohen, Jonathan (June 5, 2007). 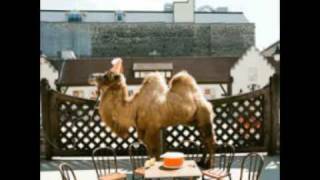 "Wilco Takes a Spin with Volkswagen for TV Ads". Billboard. Last accessed July 16, 2007. ^ Caro, Mark (June 10, 2007). "Does VW Deal Make Wilco a Sellout?". Chicago Tribune. Last accessed July 26, 2007. ^ Hasty, Katie (May 23, 2007). 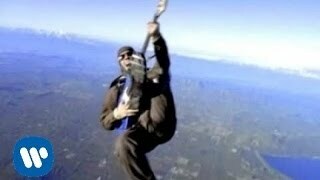 "Linkin Park Scores Year's Best Debut with 'Midnight'". Billboard. Last accessed July 16, 2007. ^ "Wilco-Sky Blue Sky-Music Charts". acharts.com. Last accessed July 16, 2007. ^ Brubaker, James (May 15, 2007). ""Sky Blue Sky" (CD)". 30music.com. Last accessed February 28, 2008. ^ Collette, Doug (June 9, 2007). "Sky Blue Sky". Allaboutjazz.com. Last accessed February 28, 2008. ^ Hernandez, Pablo (May 22, 2007). "Sky Blue Sky". Lost at Sea Magazine. Last accessed February 28, 2008. ^ Locke, Greg (2007). "Sky Blue Sky Wilco". WhatzUp. Ad Media Inc. Last accessed February 28, 2008. ^ Brown, David (December 14, 2007). "The Best Albums of the Year, from KUT". National Public Radio. Last accessed February 28, 2008. ^ Solarski, Matthew (September 23, 2008). "Plan to Vote? Get Wilco/Fleet Foxes' Dylan Cover MP3". Pitchfork Media. Archived from the original on October 26, 2008. Retrieved 2008. ^ "Colbert Report world premiere video". colbertnation.com. Last accessed November 22, 2008. ^ "Ashesofamericanmovie.com". Ashesofamericanmovie.com. Archived from the original on August 22, 2009. Retrieved 2010. ^ "Rollingstone.com". Rollingstone.com. Retrieved 2010. ^ Cohen, Jonathan (August 18, 2008). "Wilco Eyeing Spring 09 for New Album". Billboard. Retrieved 2008. ^ "Feist to guest on Wilco album". idiomag. March 6, 2009. Retrieved 2009. ^ "Wilco (The Stream)". wilcoworld.net. May 13, 2009. Archived from the original on May 17, 2009. Retrieved 2009. ^ "Billboard Top Rock Albums". Billboard. July 18, 2009. Retrieved 2009. ^ "Billboard.com". Billboard.com. August 5, 2009. Retrieved 2010. ^ "Jolly Banker lives on with Wilco". Marketplace (radio program). April 30, 2009. Archived from the original on June 29, 2012. Retrieved 2009. ^ "Jolly Banker credits". wilcoworld.net. May 1, 2009. Archived from the original on May 3, 2009. Retrieved 2009. 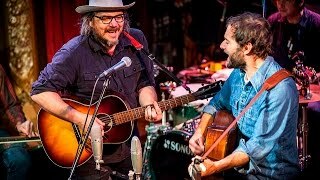 ^ "Wilco Stream Wilco's recording of Woody Guthrie's 'The Jolly Banker'". wilcoworld.net. October 21, 2011. Retrieved 2012. ^ "Ex-Wilco member Jay Bennett dies". BBC News. May 25, 2009. Retrieved 2010. ^ "Chicagotribune.com". Chicagotribune.com. Archived from the original on May 28, 2009. Retrieved 2010. ^ "Wilcoworld.net". Wilcoworld.net. Archived from the original on June 11, 2010. Retrieved 2010. ^ "Pitchfork.com". Pitchfork.com. Retrieved 2010. ^ "Bostonherald.com". Bostonherald.com. April 7, 2010. Retrieved 2010. ^ "Wilco Start Their Own Label". Pitchfork.com. January 26, 2011. Retrieved 2011. ^ Matthew Perpetua (2011-06-29). 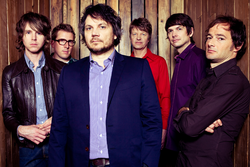 "Wilco to Self-Release 'The Whole Love' in September | Music News". Rolling Stone. Retrieved . ^ Roberts, Randall (2011-09-03). "Wilco releases full stream of new album, 'The Whole Love'". Los Angeles Times. Retrieved . ^ "Wilco Drop Surprise New Album Star Wars For Free". Pitchfork. Retrieved . ^ "Wilco announces US tour for early 2016". Consequence of Sound. Retrieved . ^ "58th Annual GRAMMY Awards Nominees". The GRAMMYs. Retrieved . ^ Strauss, Matthew. "Listen to Wilco's New Song "Locator" | Pitchfork". pitchfork.com. Retrieved 2016. ^ Minsker, Evan. "Wilco Announce New Album Schmilco, Share New Track: Listen | Pitchfork". pitchfork.com. Retrieved 2016. ^ "Wilco goes quiet". 2016-09-09. Retrieved . ^ "Wilco Release New Song 'All Lives, You Say?' to Benefit SPLC". Rolling Stone. ^ Ankeny, Jason & Johnson, Zac. Wilco > Overview. Allmusic. Retrieved August 28, 2007. ^ Crock, Jason (May 7, 2007). "Interview:Wilco". Pitchfork Media. Archived from the original on June 8, 2007. Last accessed July 23, 2007. ^ Kot, Greg (May 14, 2007). "Back to Basics: An Interview with Wilco". PopMatters. Last accessed July 23, 2007. ^ Mulvey, John (May 2002). "Pet Sounds". Uncut. ^ Cashmere, Paul. "Wilco (interview)". undercover.com.au. Archived from the original on June 22, 2007. Last accessed July 23, 2007. ^ Green, Joshua (March 17, 1999). "Been There". Salon. Archived from the original on August 14, 2007. Last accessed July 23, 2007. ^ Kot, Greg (September 2004). "Pillar of Alt". Guitar World Acoustic. ^ a b c Valania, Jonathan (June 2002). "Heroes and Villains". Magnet. ^ Hoard, Christian (April 24, 2002). "Doo Doo Doo (Heartbreaker)". The Village Voice. Last accessed July 18, 2007. ^ Metevier, Michael (May 14, 2007). "Sky Blue Sky (review)". PopMatters. Last accessed July 18, 2007. 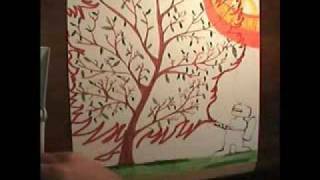 ^ Keefe, Jonathan (May 13, 2007). "Sky Blue Sky (review)". Slant. Archived from the original on September 30, 2007. Last accessed July 18, 2007. ^ Pareles, Jon (June 10, 2004). "Running the Roots-Rock Sound Through a Shape-Shifting Machine". The New York Times. The New York Times Company. Last accessed February 28, 2008. ^ Pareles, Jon (July 8, 2004). "A Ghost Is Born (review)". Rolling Stone. Archived from the original on June 19, 2007. Last accessed July 18, 2007. ^ Hoard, Christian (November 21, 2005). "Kicking Television: Live in Chicago (review)". Rolling Stone. Archived from the original on October 1, 2007. Last accessed July 18, 2007. ^ Snyder, Jillian. "An Interview with Derek Webb". Mars' Hill. Archived from the original on October 12, 2007. Last accessed July 17, 2007. ^ Gottlieb, Jed (June 21, 2007). "National Anthems Eschew Catchy for Wilco-like Sound". Boston Herald. [dead link] Last accessed July 18, 2007. ^ Bruss, Andrew (September 1, 2006). "Grace Potter and the Nocturnals: Bring It on Home". Glide. Archived from the original on October 12, 2007. Last accessed July 18, 2007. ^ Swift, Jacqui (July 6, 2007). "Something for the Weekend: Cherry Ghost's Ripe for Picking". The Sun. London. [permanent dead link] Last accessed July 17, 2007. ^ "Stereogum.com". Stereogum.com. October 30, 2008. Retrieved 2010. ^ Anonymous (January 10, 2006). "Fuelfriends.blogspot.com". Fuelfriends.blogspot.com. Retrieved 2010. Kot, Greg (2004). Wilco: Learning How to Die (1st ed.). New York: Broadway Books. ISBN 0-7679-1558-5. Levy, Joe (2005). Rolling Stone's 500 Greatest Albums of All Time (1st ed.). New York: Wenner Books. ISBN 1-932958-61-4.